For a while there I was getting stumped by what scent hounds were out there. It seemed that I only knew a few of them and there was obviously many more on many more people’s lists than I knew. Then most people realise that the American lists are very abbreviated and American centric and really of little help when wanting to know all of the types of dogs that can be used for scent hound hunting. So eventually we all seem to stumble upon the Fedraton Cynnologique Internationale (FCI) list of scent hounds. As you will see it is quite comprehensive and contains dogs in many sizes and countries, but since the FCI site lists these scent hounds by size it is easy to think you are getting almost duplication of a breed of dog. That America has actually very few scent hunting dogs created here, and they are very recent. I am sure that some hunters would expect all coonhounds to be listed in this category, but since their inclusion in the American AKC list is relatively recently, it may take some time. Many countries have a single entry in the scent hound category which is its country name followed by the name hound. As many of these European countries have taken hunting seriously for hundreds of years, these single hounds are often very well tuned for the weather and hunting conditions found locally in these countries. Yes countries do vary considerably in environment, however many European countries are considerably smaller than African or other continent countries so the temperatures and type of hunting environment used for their specific breed of hunting dog can be quite refined. Most of these dog breeds will be unfamiliar to even people within the industry as they are not massively popular outside of the country of origin. You will also find that Americans tend to stick to their breed of hunting dog, often favouring very traditional dogs like the beagle, or American created dogs, like the coonhounds (not all in the scent hound category). Because of this mystery around many of the scent hounds, I will endeavour to bring you as much hunting specific information on the lesser known scent hound hunting dog breeds as possible on this site! 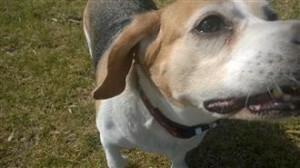 This entry was posted in Hound Dogs, Scent Hound.